Standing stairlifts consist of a footplate and armrests and / or handrails, the user stands on the footplate while being transported up or down stairs. 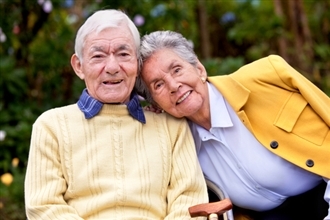 Perching stairlifts are similar to standing stairlifts except that they provide a small amount of additional support underneath the buttocks. Thus the user is transported in a perching position, between sitting and standing. When considering whether a seated or standing stairlift best suits your needs an individual assessment with an occupational therapist is strongly recommended, your safety on your stairs is paramount. There may be individual factors which determine which stairlift, or alternative equipment, best suits your needs. Standing stair lifts may be chosen in preference to seated models if the staircase is exceptionally narrow or if the user has a stiff leg/s and has difficulty bending their knee/s or at the hip when sitting. The user must have the endurance to stand for the time required to travel up/down. The time required will vary depending on the length of the staircase and any bends. Even a short straight flight of stairs will take over a minute. Standing stairlifts usually have one or two guard rails that the user can hold onto during transit. 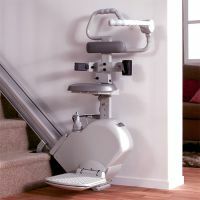 As with standing stairlifts perching stairlifts usually have one or two guard rails that the user can hold onto during transit. Standing and perching stairlifts share several of the same optional features as seated stairlifts such as, folding footplates and hinged rails. 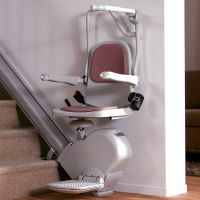 For more information on stair lift features click here or read about Fred's standing stairlift. 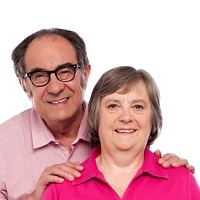 See more information on buying a stairlift privately.